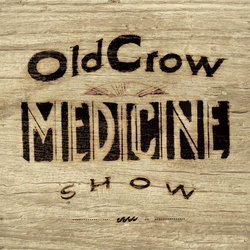 “Old Crow Medicine Show marry old-time string music and punk swagger.” So said none other than Rolling Stone Magazine. It is true, they do. Perhaps though as with other bands who could be described in similar terms, (Dirt Daubers, Pine Hill Haints and even Chatham County Line to a lesser extent) that raw energy that you get from a live show doesn’t always carry over or transcend to a studio album. The skill, tight togetherness and sometimes seemingly random swapping of instruments that blows you away at a live show somehow sometimes doesn’t grab you in quite the same way when you are listening to a CD. really, really fast ones. If you like the others then you will like this one.